A Tag is a way of categorizing a deal by type, represented by a colour and term. Typically many people use Tags as a way to filter deals/persons/organisations. You can also add an unlimited number of tags to a deal/persons/organisations. This way, it’s easy to do advanced searches and filter them just the way you like. 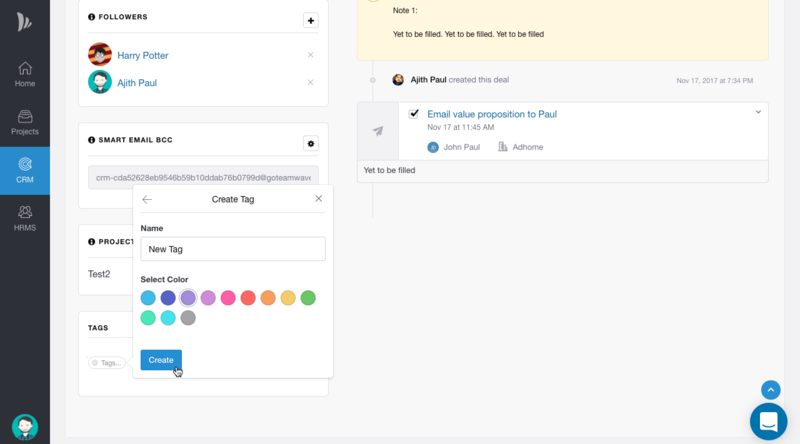 All the tags in CRM are universal, means, a tag created in a deal can be used in some other deals and contacts also. 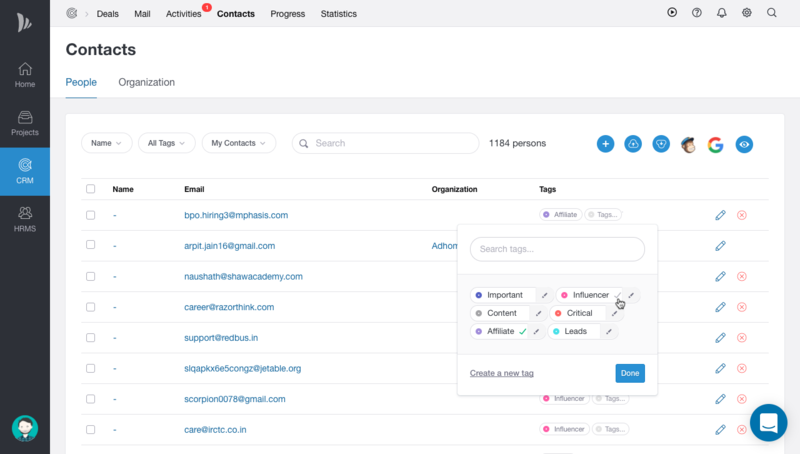 Let's see how to add tags to deals, persons and organisations and use them to filter. A tag will be created and added to that deal. In a similar way, you can create more tags. 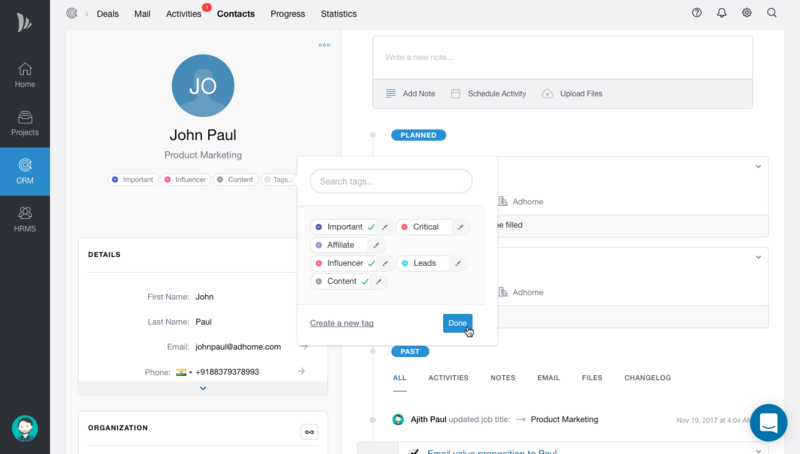 You can add tags to persons and organisation from contacts page and person's profile page.